Funny, yes — and coming from Zuckerberg, more than a bit ironic. As the story unfolds, Zuckerberg’s analogy rings increasingly true: Twitter’s founders may indeed have tapped into one of the most pervasive new forms of communication in the past century, but Bilton’s book reveals a seven-year-old company that has repeatedly come close to completely unraveling. At its core, this is a tale of four men: Evan Williams (@Ev), Biz Stone (@Biz), Jack Dorsey (@Jack) and Noah Glass (@Noah), a motley crew of San Francisco transplants, who happen to meet on the way to making a name for themselves in Silicon Valley. After a failed first attempt at a podcasting startup, the seeds of what would become Twitter slowly begin to emerge. It’s all downhill from there. There’s internal strife among the founders from the outset, including some fundamental disagreements about just what, exactly, Twitter is supposed to be. Glass, as Bilton writes it, imagined Twitter as a way to connect to others, to combat a sense of loneliness. Stone viewed Twitter as a manifestation of an early idea he had for a “phone-ternet,” a world of Web-connected mobile devices. But the story’s central conflict emerged between the other two founders — Dorsey and Williams — whose differing views of the service still play off one another to this day. 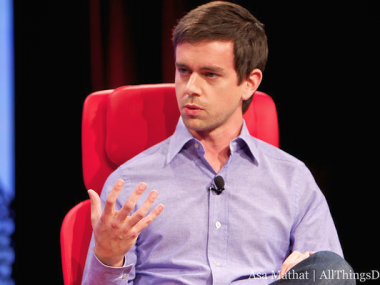 Dorsey saw Twitter as a way to update one’s “status,” the ability to say what you’re doing the moment you’re doing it. Williams saw Twitter as a way to describe what’s happening in the world around you. It would be these fundamental disagreements, paired with a clash of personalities and the struggle between egos, that would result in deeply ingrained dysfunction among the company’s top ranks. Early on in the book, for example, Williams fires Glass from the company, in part because of Glass’s erratic, often manic behavior and continuous run-ins with Williams’s management style. Meanwhile, behind the scenes, Dorsey — who is also increasingly fed up with Glass’s behavior — gives Williams an ultimatum: Either Glass goes, or Dorsey does. Even years after he was let go, Glass remained unaware of Dorsey’s part in the firing. It is somewhat fitting then, that, as Bilton details it, Dorsey himself was unaware of the forces behind his eventual ejection from his CEO seat at the company — the machinations of an angered Williams and a discontented company board. At a breakfast with then-board-members Fred Wilson and Bijan Sabet, Dorsey was unceremoniously dismissed, given the vanity title of board chairman, and relieved of any actual power in the company. In the book’s climactic third coup d’etat, it is Williams himself who is ousted from the company he founded, orchestrated by a cunning Dorsey at his most political, and aided again by a small faction of the company’s board members. This is not to say that these firings were all unwarranted; the founders in Bilton’s tale are a deeply flawed lot, people who — like any other set of Silicon Valley idealists — aimed to change the world with technology and millions of dollars in venture financing. But that ambition, paired with a desire for recognition, ended up creating huge rifts between men who at one point considered one another friends. All this, amid a massive surge in popularity and cultural recognition. As revolutionaries and celebrities alike flocked to the platform, Twitter was strapped to a growth rocket ship, fueled by the service’s ability to shine during moments of global import. The growth was so fast and furious, in fact, that the company became notorious for its downtime incidents; the now infamous “fail whale” emerged as a symbol of Twitter’s inability to keep the site stable. 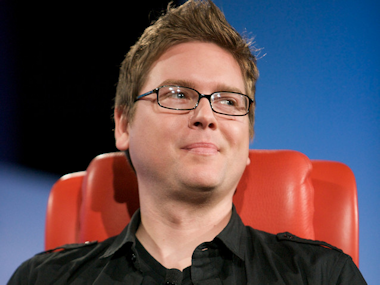 Asa Mathat / AllThingsD.com Twitter co-founder Biz Stone. It’s jarring, too, to think of how many times the company could have been altered or acquired, and turned into an arm or a feature of one of the Valley’s other tech giants. Williams rebuffed offers from Yahoo and from former vice president Al Gore and Current TV, and nixed deals from Ashton Kutcher and musician Sean “Puffy” Combs. 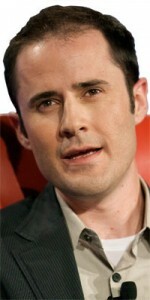 Facebook offered to buy the company at least twice, and twice was turned down. I’m inclined to wonder — especially in the days leading up to Twitter’s IPO — just how the company became what it is today, in spite of all the tumult it endured at the hands of its founders. It is a service used by 230 million people around the world, with hundreds of millions in revenue, and hosts some of the most famous people on the planet. 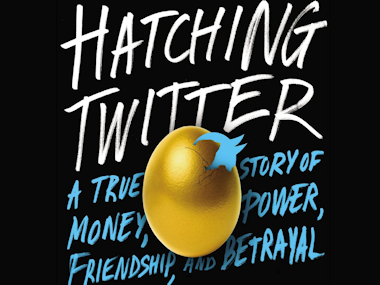 Perhaps, as Bilton’s book suggests, Twitter needed each of its forefathers — warts and all.